How can I make my PayPal form "submit" button open up a new page? Right now it opens up in the same tab/window/page and I want to direct it to a new page. 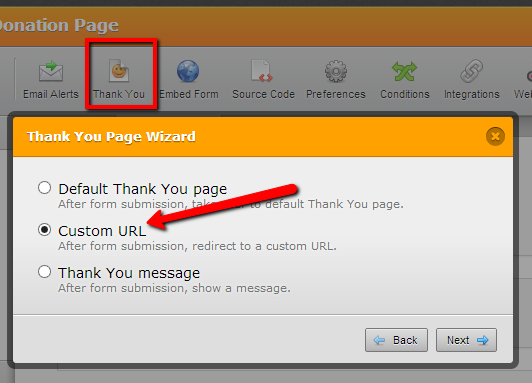 To direct users to another page after they select the submit button you will need to enter a custom url for your thank you page. Please follow the steps below to add a custom url. 3.Enter the url that you would like to redirect your users to after they select submit. For more information on setting up your thank you page please visit this guide. Please let us know if you have any further questions or if this does not help.